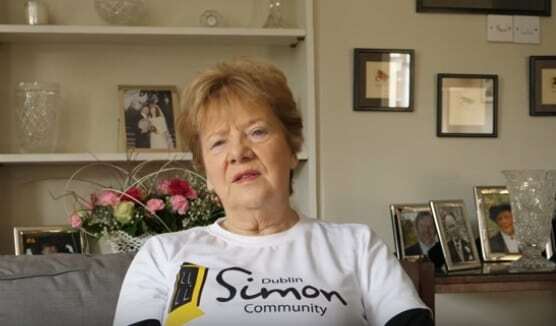 Phyl Geraghty has been a dedicated volunteer with the Dublin Simon Community Soup Run since 2010. Our teams of volunteers walk the streets in all weathers offering soup, sandwiches, tea and a good chat if so desired, to people who are experiencing homelessness around the city. Each year Phyl also takes part in the VHI Women’s Mini Marathon to help raise vital funds to support our services for people who are homeless or at risk of homelessness. Watch below to learn more about Phyl’s story. 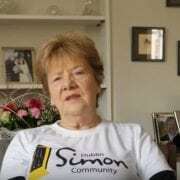 Join Phyl and our team of supporters by Signing Up for Simon in this year’s VHI Mini Marathon by emailing Izabella at IzabellaAlvarenga@dubsimon.ie.